When booking with us, you are assured a trusted company is serving your holiday experience from arrival to departure. We can also fulfill all your additional needs, from a birthday cake to riding an Elephant! Thailand Holiday Homes is critically acclaimed by TripAdvisor and the Tourist Authority of Thailand. We have thousands of happy customers that return year upon year. Our staff remain available at any time from the time of your booking to your departure to answer all the needs you may have before and during your stay with us. The villa, which opens up onto 2 floors has been designed with perfection in mind and every inch of the property oozes just that. With stylish and modern décor throughout, the Villa is filled with natural light. There is no better place to be, then high up in the hills with panoramic views of the ocean, accompanying islands and Samui’s landscape. If your idea of vacation includes a property that resembles a dreamy palace, you’ve just found your ultimate holiday home. This massive 4-storey 4-bedroom villa with 3 bathrooms and an elevator sleeps up to 8 people and is about maximum comfort mixed with luxury. 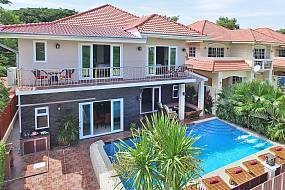 Situated within a gated estate with its own soothing ponds, this 4 bedroom villa is just 1.9 km from Jomtien Beach. With 4 bedrooms, 4 bathrooms, private swimming pool, spacious living areas and a fully equipped kitchen, this is a fantastic choice for a large family or a group of 8 friends. 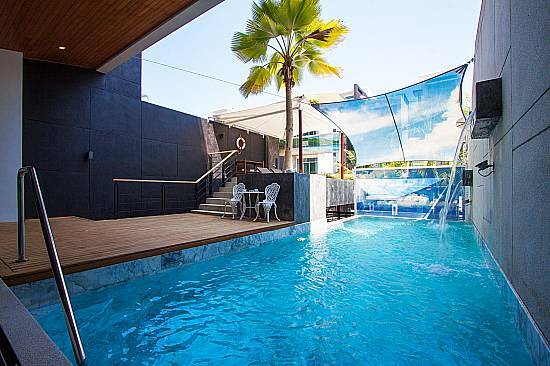 The pool area is completely private and sure to provide many fun days in the sun. Villa Haven is the absolute luxury holiday villa of lifetime. Decorated in Thai and Pan-Asian style with stellar attention to every detail and 5-star standard, here, memories are made and treasured. An elevated private beach on the ocean blends with stunning outdoor areas and an interior from the pages of Architectural Digest. Everything was perfect. Alexander was there to welcome us, he explained all about the flat, everything was clear and simple between us. Then we had a great time in this house: great view, spacious, very well equipped and maintained... The swimming pool is large and beautiful, the tennis court in synthetic grass are very convenient and we loved to spend the afternoon contemplating the sea from the pool deck. I will come back!! Get the latest news and don't miss a deal! 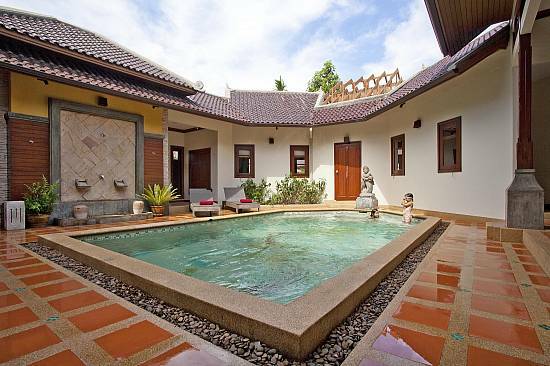 Thailand Holiday Homes are proud to offer the largest selection of villas and holiday homes available for rent in Thailand. 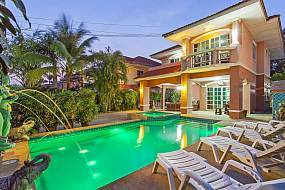 For anyone vacationing or visiting this beautiful tropical paradise, you will not find a greater choice of Thailand villas and apartments for short and long-term rent anywhere else. In short, you can be sure to find your dream holiday home with us! 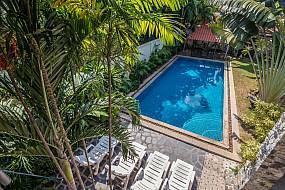 We have hundreds of available villas set right across the country to suit all tastes, requirements and budgets; from Phuket and Krabi on the Andaman Sea to Koh Chang in the gulf of Thailand and many more idyllic destinations. 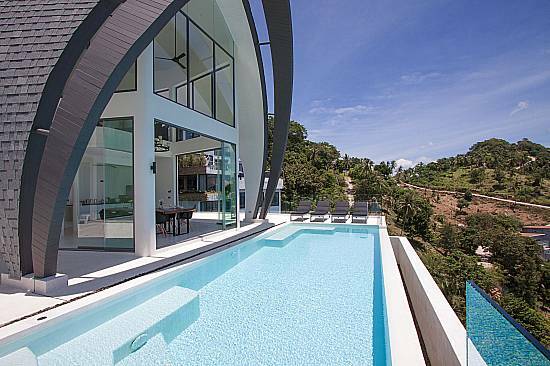 Over the years we have worked tirelessly on our dream and vision to become Thailand’s leading Villa Rental Company. It is our passion to share the natural beauty, serenity and splendour of this magical country by providing our customers with extravagant, stylish, comfortable and lavish accommodation to match. 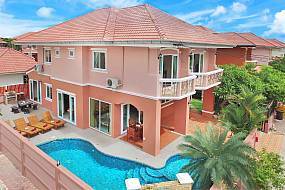 luxury pool villas in Pattaya? Wherever you are vacationing in Thailand, we will make your stay all the more memorable! We also offer fantastic promotional deals on many of our villas and apartments and are continuously growing and taking on more properties. We have a great and passionate team with fantastic knowledge of all the locations we cover, things to do and see and local amenities. We are always on hand to help with any aspect of your trip and it is this dedication to customer care combined with the quality and selection of our holiday homes and villas which has seen our customers return year upon year and help us grow to where we are today! We are looking forward and will be using this experience in also helping you find your perfect vacation home and making your Thailand holiday one to remember!